From the time Zambia got its independence in 1964, its economy was hanging on Copper mining until 1991 when Kaunda’s one party state was swept by the wind of multiparty democracy championed by the late trade unionist, Fredrick Chiluba, who amidst criticism, endeavored to diversify the economy to various sectors. The diversification of the economy brought a number of changes in the public sector in the sense that private individuals were now given chance to participate actively in creation of wealth for the country in any way they could manage. Amongst the sectors that received quick recognition in its role to develop the country was Tourism. Tourism is estimated to contribute massively to the country through foreign exchange, creation of employment, conservation of natural resources such as game parks, creation of beauty in the hospitality industry, and infrastructure development such as roads. The MMD government realized the value that tourism would add to the growing nation considering the fact that a lot of tourist attraction centres were lying idle around the country. The government started putting in measures to squeeze the value out of tourism through massive campaigns to expose Zambia to the rest of the world. Not only that, the government also embarked in infrastructure development in the tourist potential areas to enable possible motilities for tourists to reach these areas. The Zambia National Tourism Board was created to spearhead the marketing and management of tourism in the country. Down the line, the department of National Heritage was also strengthened to help in the preservation of national heritage sites, as this was one of the contributing elements in boosting tourism. 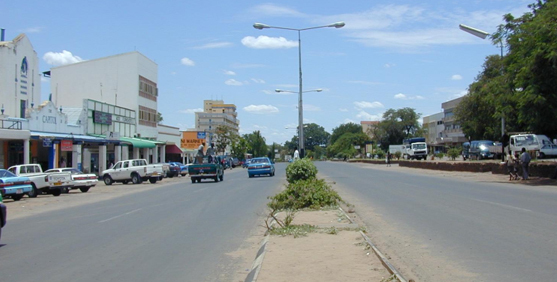 Livingstone was declared as a tourist capital, which saw a number of foreign and local investors flock to that area to invest in the hospitality industry and related facilities. However, there seem to be some stagnation in the process in as far as implementation is concerned. Tourism activities are concentrated in some pockets of the country while the majority of the areas; especially those in rural parts remain underdeveloped. Roads to such places are impassable, while some of them have been left to degenerate into oblivion. We seem to have a problem after the wheel was set in motion, as the cogs seem not to resonate well! Why is it that Kalambo Falls is rarely visited while the Victoria Falls is always congested with visitors? The reason lies in concentration of efforts. There has been too much focus given to the tourist capital at the expense of other attraction centers which, if given reasonable attention, can compete favorably! Who would not want to go and see where the skull of Broken Hillman was found? Probably no one. But then, how much of that has been marketed for the tourists to be aware of? Little. Diversification of the economy needs commitments, which should be met with efforts. Its one thing to commit oneself, but it is another to carryout the commitment. Boosting tourism in the country will need the government to open up rural areas so that they are passable. Not only that, there will be need to carry out implementation of various commitments which the government pledges to undertake from time to time. There will also be need to widen the horizon to cater for different areas which at the moment are considered less of value. If this is done, the value will be realized from tourism. Like agriculture, tourism should be taken to all parts of the country. There is plenty lying around in the countryside, like a pearl buried under the soil! What remains are efforts to uncover them. This is only possible if there is a proper vision and implementation. Otherwise, tourism will remain a political ideology.